Download all the lessons in a podcast feed. Organize lessons in sequential order. Turn off automatic deletion of played lessons. I used the Podcasts app on an iPhone for this video. Please leave a comment below if you need help using another podcatcher. Let’s review the key steps from the video. After selecting a show (podcast) from your Library, you will see the screen below. Click on the ellipsis (three dots) to the right of the Play button to access Settings. This will open a new window where you will click on Settings. Click on Custom Settings and select your options. Organize your lessons in chronological order, from oldest to newest. To download all the lessons in a podcast feed, you must add them to your Library. 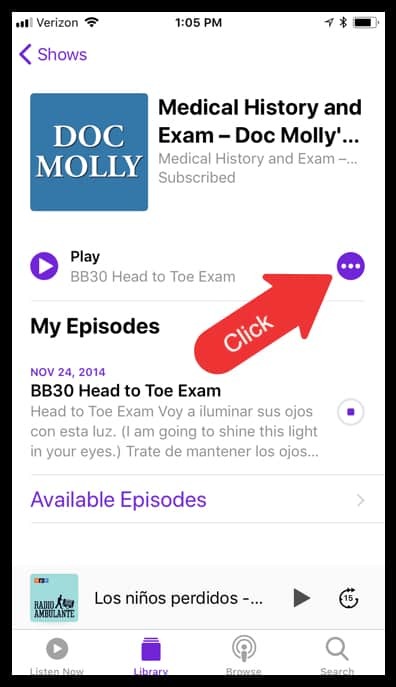 You do this, by clicking on Available Episodes and then clicking the plus sign to the right of each episode. 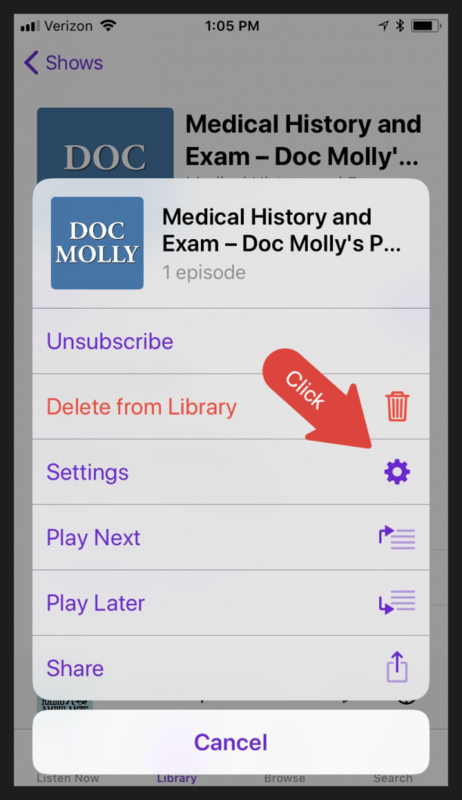 Follow these steps, and all your audio lessons will be safely saved in your Podcasts app for offline learning. They are yours to keep! 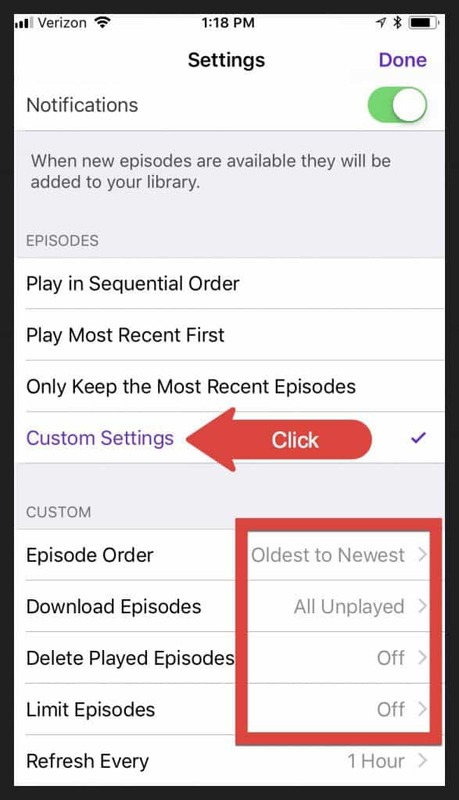 If you accidentally delete an episode, you can always add it back. 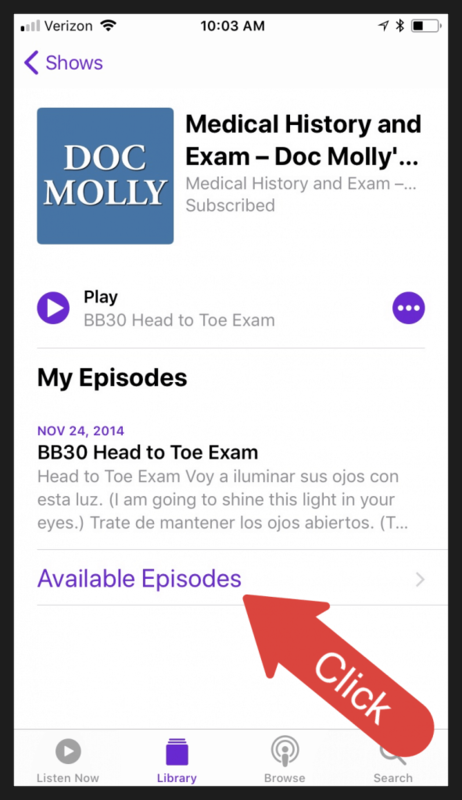 As long as you have an active subscription to Doc Molly’s Podcasts, the episode will appear under Available Episodes.